YH485 Press is a col­lab­or­at­ive pub­lish­ing house estab­lished by Not­ting­ham based Aaron Jun­eau, Har­riet Mitchell and Jonath­an Watts. Book­mo­biles or bib­li­o­buses are large vehicles fit­ted with shelves and dis­play units designed to house small lib­rar­ies of books. These lib­rar­ies travel to cer­tain des­ig­nated loc­ales, known to its rel­ev­ant com­munity, park up, and, once sta­tion­ary, open their doors to offer a ser­vice in much the same way as a loc­al stat­ic lib­rary. The obvi­ous advant­age of the mobile lib­rary is, as the name sug­gests, that it is peri­pat­et­ic. As such, it provides a more eas­ily access­ible ped­ago­gic­al resource for those who may oth­er­wise be unable to reach their closest con­ven­tion­al lib­rary, quite lit­er­ally bring­ing know­ledge and inform­a­tion to the door­step. Using this often over­looked mod­el for mobil­iz­ing and shar­ing know­ledge and dis­cus­sion YH485 Press will con­vert a 1985 Volk­swa­gen Camper­van into Sideshow’s very own bib­li­o­bus and trans­it­ory read­ing room. 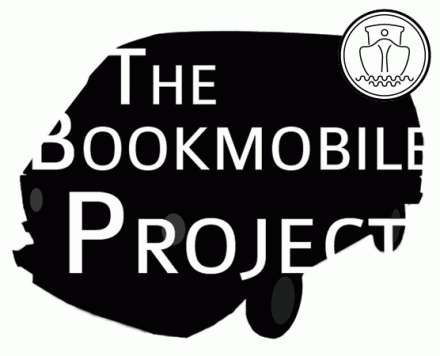 The ›Book­mobile‹ will travel to vari­ous par­ti­cip­at­ing Sideshow and BAS ven­ues in Not­ting­ham, col­lect­ing and mak­ing avail­able books and oth­er mater­i­als as it goes. YH485 will also play host to a series of lec­tures and events in asso­ci­ation with the Book­mobile around the themes of ped­agogy, artist book­works and the pos­i­tion and func­tion of writ­ing in con­tem­por­ary art.